Crafted in sleek silver, this delicate bangle will be a piece to treasure forever. 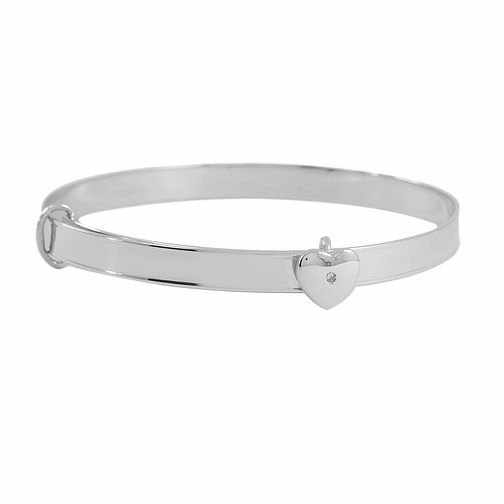 With a heart charm, this beautiful bangle is the perfect gift. Expands to fit most wrist sizes.